Surveillance cameras are today a common feature in any urban setting. 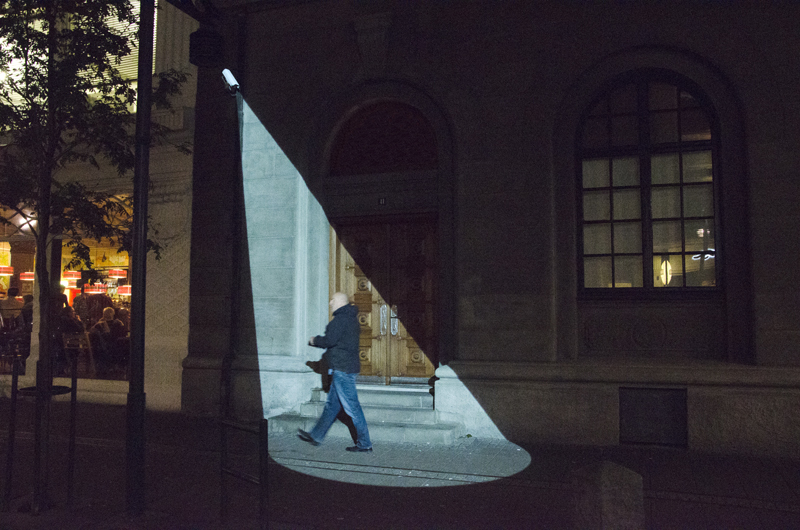 These mechanisms of control have become so much part of our everyday lives that in a way they are invisible to us, even if their presence is apparent everywhere. We are constantly being watched, and we no longer care. 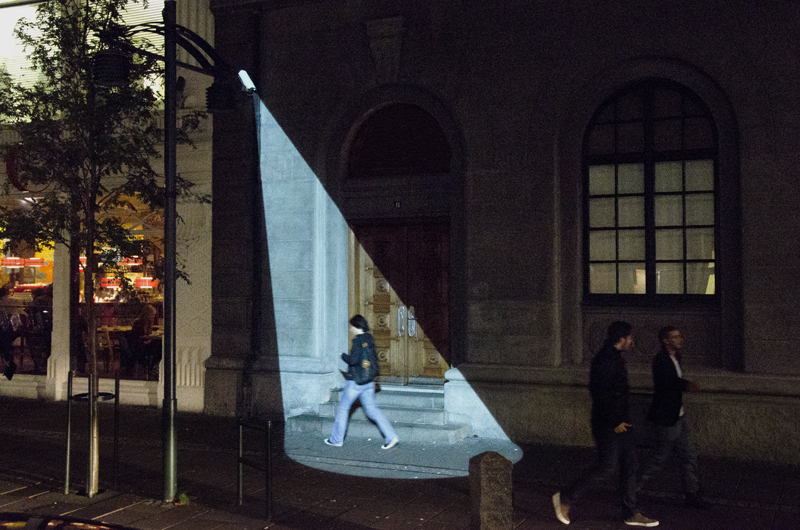 [e]mission uses a projector and a sensor in order to disrupt the way an ordinary surveillance camera operates. 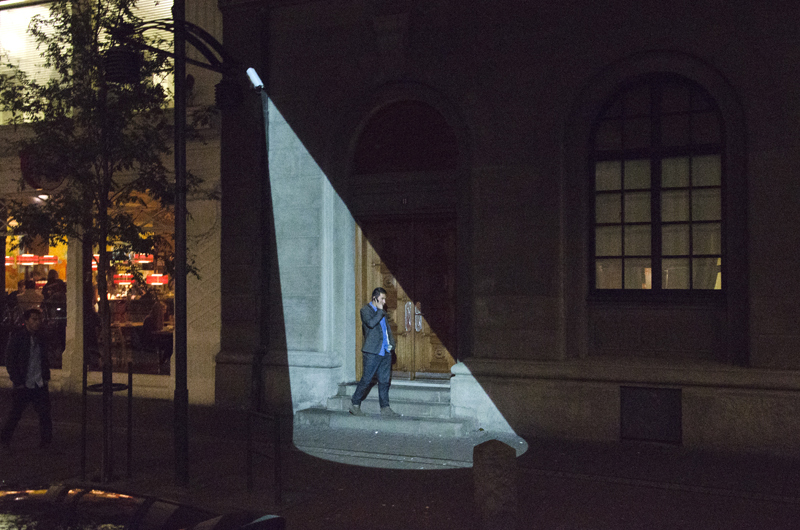 Every time a person passes under the camera a projector lights it up, illuminating its field of vision. In this way, not only the person is made aware of the fact that he or she is being watched, but also, anybody who is around. 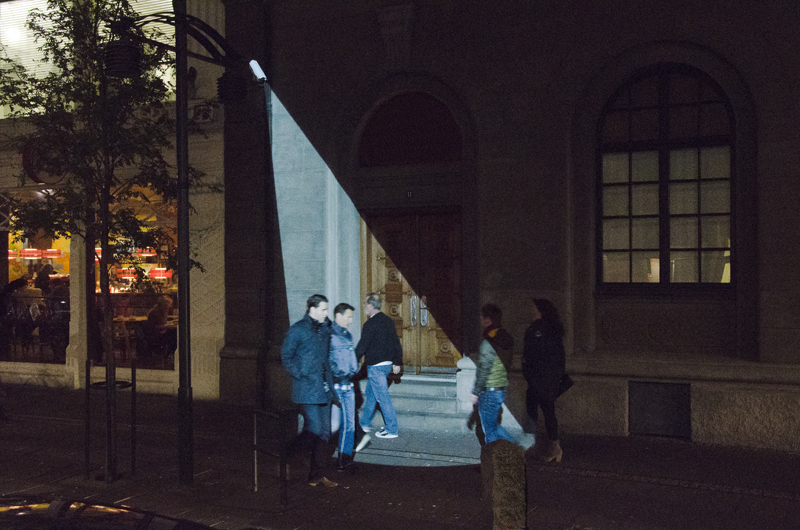 With this intervention, the space acquires a theatrical quality; it becomes a stage in which anonymous citizens are temporarily brought to light to become the main character in the play of the city.